Brewing Update: This Sour Ale is almost ready! 9.11.18 – Release party is in a couple days! Get it this weekend in the taproom! Due to a shipping delay pre-orders will go out in the next couple weeks. Sorry for the delay!! 8.22.18 – The beer is all conditioned, carbbed and tasting great! We are working with the winner to plan the release! Everyone stay tuned! 7.25.18 – Packaged! We have this beer in bottles! It is conditioning away and labels are heading to print. We will get an update out as soon as those puppies are carbbed! 7.16.18 – Well, we are just about to the point of blending and packaging! The beer is tasting great and she is next in line for packaging. After the beer goes into bottles they will need a few more weeks to properly bottle condition before we release them. Stay tuned! 6.26.18 – The beer is souring away! The flavors are blending and tasting amazing. We are going to let it hang out a few more weeks to see where those flavors go before making a decision to package or add more fruit. 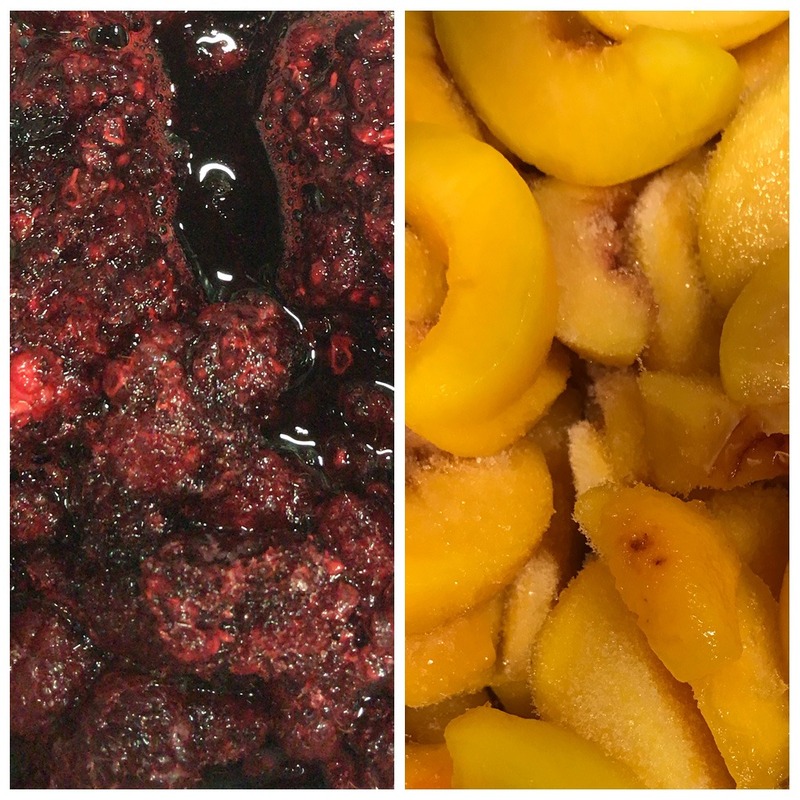 4.26.18 – It’s Peach and Raspberry addition day! Whooo! These fruits are looking soo good! We can’t wait to get them into the beer. We will let them all hang out together for a few months and see how they are progressing. 4.11.18 – This sour beer is just about ready to trasnferr! Soon it will head into the sour room for fruit additions and all the funky bugs. It will take its sweet time souring on fruit developing all sorts of fun flavors. We will let you know as soon as we are ready to put it on fruit! 3.25.18 – Brew Day! Natalie and her family and friends are joining us today for the brewing of this stellar beer. Though it is a pretty basic brew the final product will have you knitting in circles! After the beer has finished its first split fermentation we will pitch even more bugs (for souring that is) and get it on fruit! Thanks for coming Natalie! 2.28.18 – Stitch and Snitch Wins! Peach and raspberry in a sour beer!?! That sounds incredible. Thanks for submitting such an awesome idea Natalie! Here is her vision for her beer idea – A delightfully light and drinkable peach and raspberry sour, perfect to drink during weekly knitting circles where you can complain about work and spouses. Can not wait to try this one.